The Do Not Disturb mode on iPhone, iPad and iPod touch offers the ability to turn off notifications and calls . It is an extremely useful feature when you are sleeping, watching a series on Netflix , at a work meeting, and so on. And now, with the release of iOS 12 , Apple has included news in Do Not Disturb mode so that users can activate the function temporarily . There are times when, for any reason, we activate the Do Not Disturb mode on the iPhone but then we forget that it was activated and we miss all the notifications. Therefore, this little trick that we will detail below is very good. Basically, this trick can be carried out directly from the Control Center. But it's only available on iOS 12, so make sure you have the latest version of Apple's mobile software installed on your iPhone, on your iPad or on your iPod touch before activating this functionality. 1. 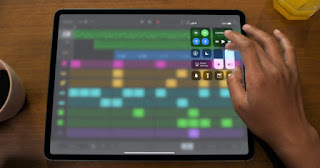 Access the iOS 12 Control Center on your iPhone and / or iPad. 2. Keep your finger pressed on the Do Not Disturb mode button. 3. Select one of the three options. Additionally, you can also click on the "Schedule" button and choose a period of time in which you want the Do Not Disturb mode to be active. For example, between 11:00 p.m. and 07:00 p.m. A very simple but very useful trick, without a doubt. We hope this tutorial has helped you.